Parents! Teachers! Kids! We have online resources for readers of all ages, and we hope you’ll take a few minutes to explore them. These resources can be accessed any time/anywhere – all you need is a library card! Tumblebooks is geared towards younger readers, and contains a multitude of digital picture books and easy reading chapter books. You’ll find many of your favourite authors and characters here like Robert Munsch, Geronimo Stilton, and Caillou. You’ll also find beautifully organized subject matter, seasonally relevant content, and some handy built in tools to assist early readers. There are several titles available in French, and you can even customize your own playlists. Your library card grants you unlimited access to Tumblebooks. YOU WILL LOVE IT! Tumble Book Cloud has all of the great features of Tumblebooks, but is geared towards older readers (Grade 7-12). Here you’ll find many of the classics, several Hi/Lo selections, and again – livres en Francais. This resource will come in super handy for students who forget their books at school, as many of the titles align with high school curriculum. Novelist K-8 Plus is a resource that contains information to help you choose WHAT to read. Isn’t that half the battle? You’ll find fiction and nonfiction lists organized by genre, appeal, and awards: Book to movie, if you like this…try this, etc. Lists are available for three different age groups: 0-8, 9-12, and Teen. For each title you will find detailed reviews, book descriptions, indications of subject matter, tone, lexile, etc. You’ll also find information about the author. Teachers – use this resource! It will make your life easier – we promise. If you’re looking for reading recommendations, we also encourage you to sign up for our Library Aware newsletters, which deliver reading recommendations from Windsor Public Library staff straight to your inbox. Sign up for any topics that interest you, and we’ll send you a list of titles that link straight to our online catalogue where you can reserve your copy. We have recommendations for Picture Books, Kids Books and Teen Scene. Have a look! In addition to the resources featured here, don’t forget that our more popular eResources & Apps like Axis 360, Libby, and Hoopla also contain hundreds of selections for young readers. 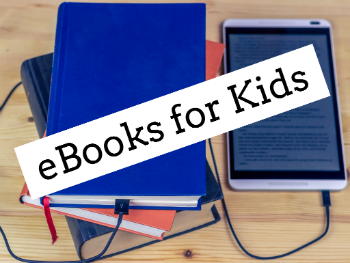 In these resources you will find the heavy hitters like Diary of a Wimpy Kid and Harry Potter. All of the eResources discussed here (and many more) can be accessed from the eResources & Databases section of our website. Some of them are also available in App format. If you have any questions about eBooks for kids, we are always happy to help!